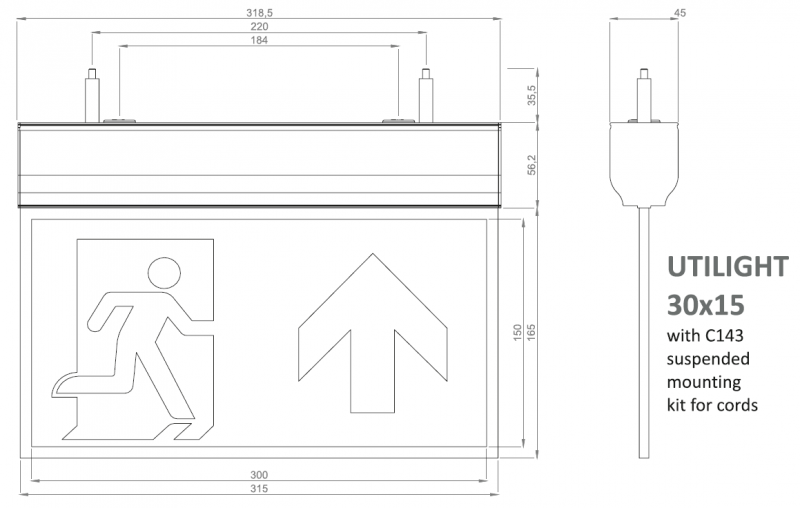 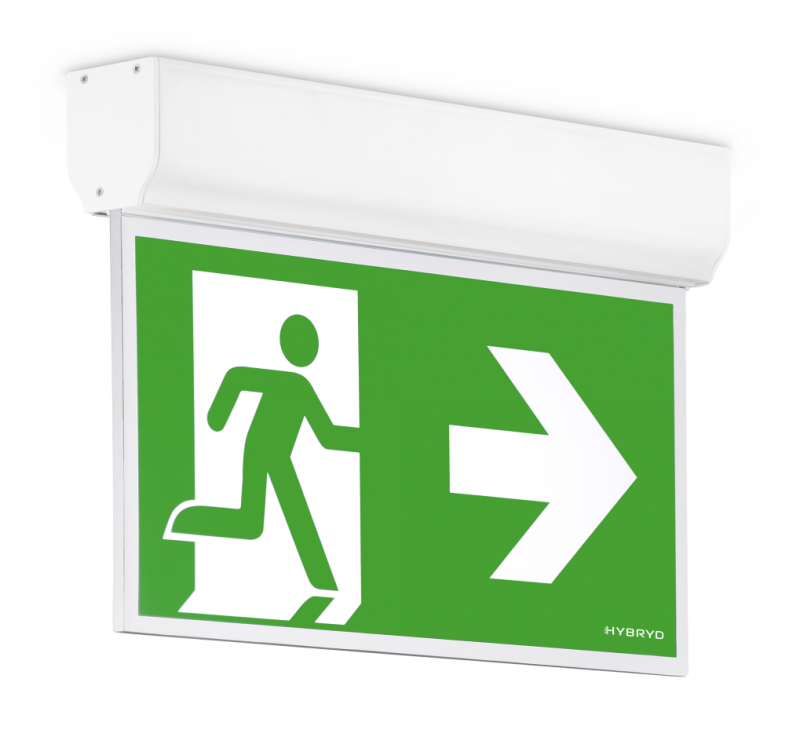 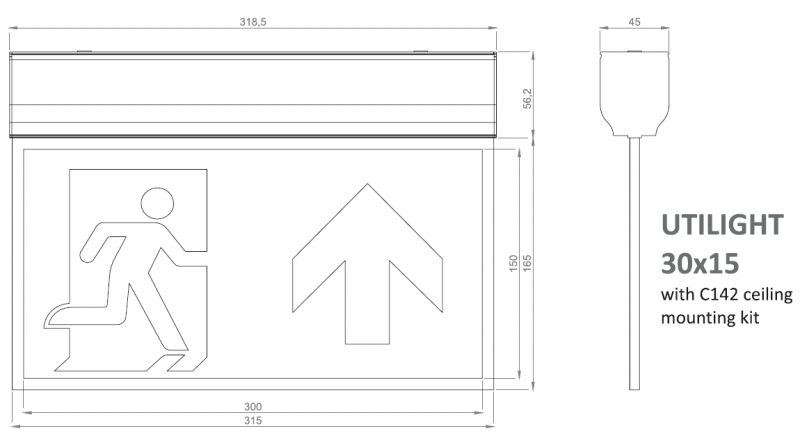 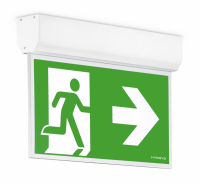 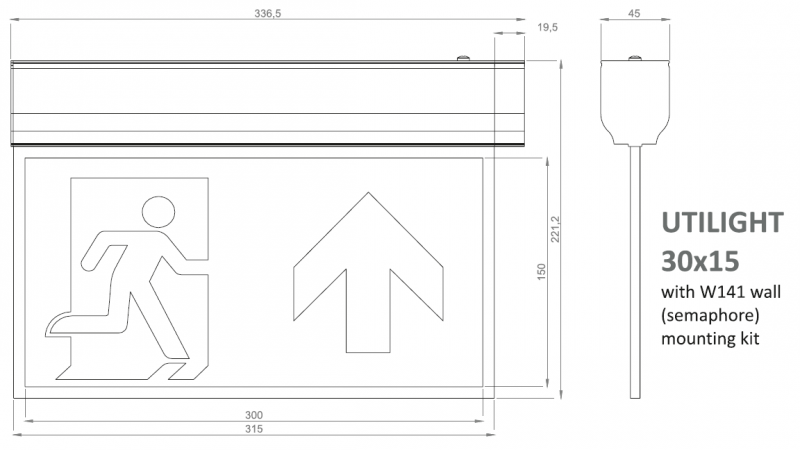 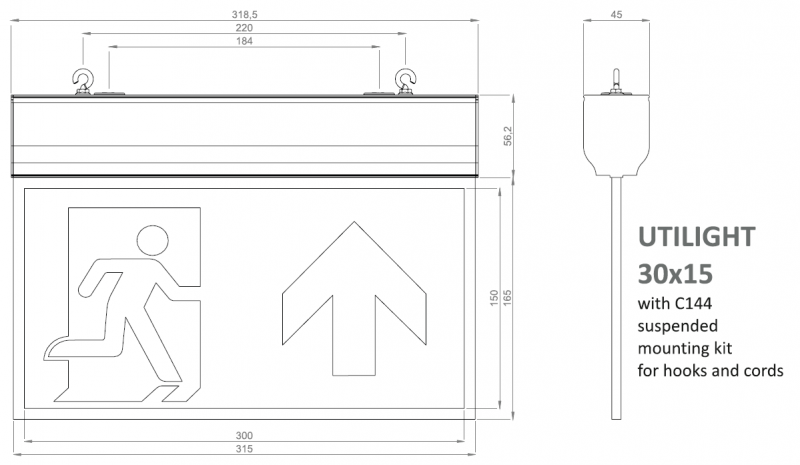 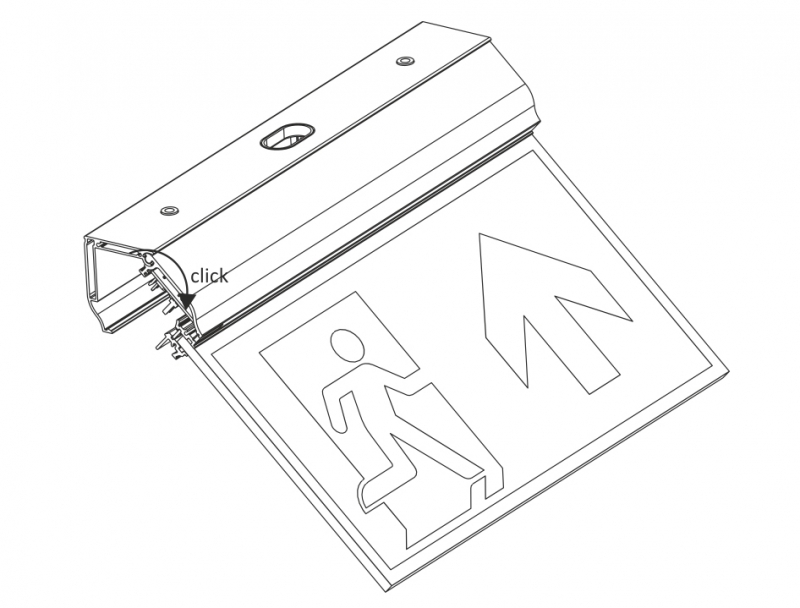 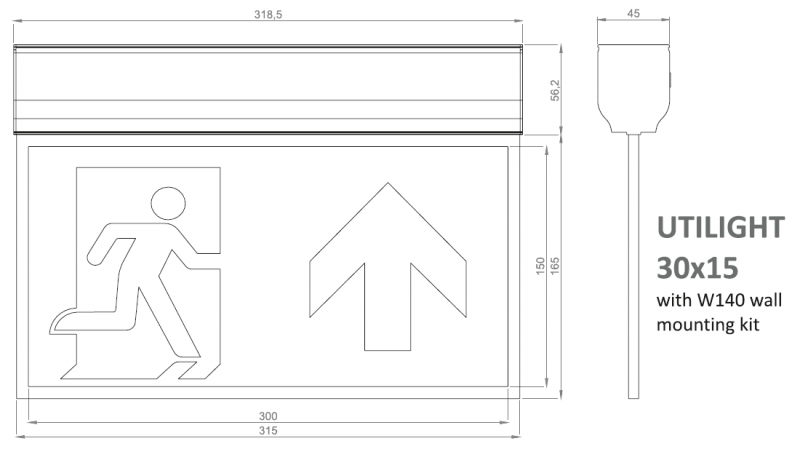 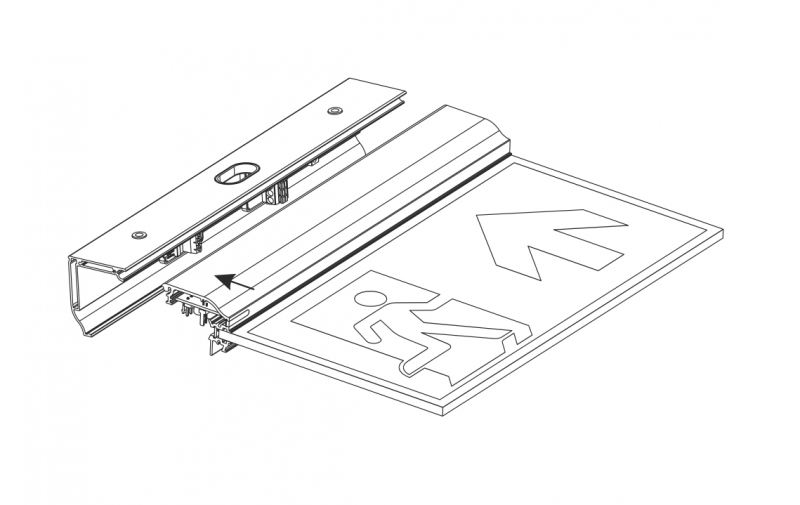 of two parts – the main part with electronics, battery, LED strip, and diffuser for evacuation sign is invariable of mounting method. 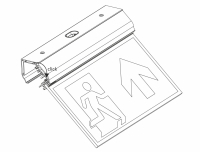 the mounting method, the form of the luminaire is always the same. 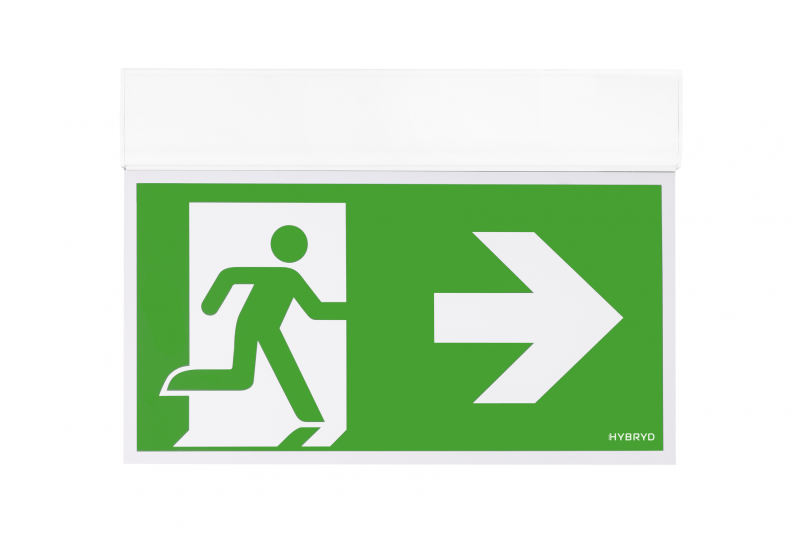 UTILIGHT is compatible with all emergency lighting systems offered by HYBRYD.